I have had the pleasure of sampling Quinteassential tea over the last week, now be careful with that spelling in the search bar because omitting the ‘a’ in ‘teassential’ comes up with a very different company altogether. Many tea brands will give you 1 or 2 tea bags to sample, however on this occasion I received quite the package and it’s for this reason that I have simplified my review under headings. A cardboard and authentic stamped box arrived in the post and whilst I love a parcel of goodies as much as the next person, knowing that various teas were in the box meant it was time to put everything down and take a well deserved tea break. Ah so much tea! Loose leaf frequently causes a stumbling block for the less avid tea drinker, what with not having the right pot, or having the right pot but maybe I don’t want to make that much tea or gee forbid I were to place it straight in the cup to float around and disturb each heavenly sip when I inevitably fail to avoid it. You now appreciate teabags! Well Quinteassential seemed to have taken all of this into account as they provided individual teabags sealable with a branded wooden stick. These were a nice touch and very useful, however I found that the sticks sometimes got in the way whilst drinking as they sat on the rim of the mug. I’d also recommend using a small or shallow and wide mug, as the stick rests on top of the mug and the tea doesn’t infuse fully with the water at the bottom of a big mug unless you keep stirring it. The bags don’t fold over so your only option to seal it really is to use the stick. It is loose leaf tea after all so you could just ditch the bag and embrace it. When it comes to loose leaf teas especially, it does make me exceptionally happy when you get a little more than expected and can top up the same mug with fresh hot water and it taste just as good. 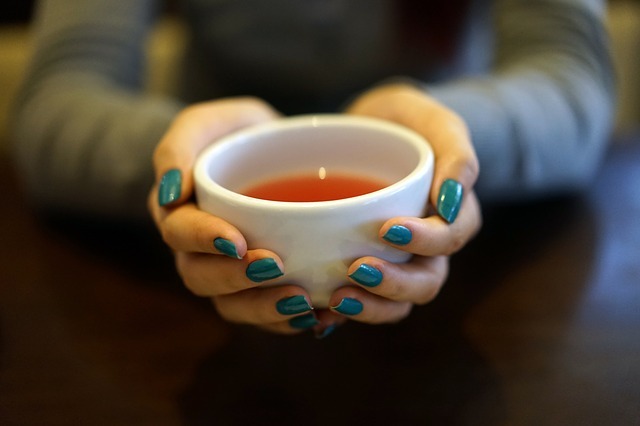 This wasn’t the case with this tea so to avoid the tragic situation of hot water with a mere hint of tea, bear in mind that you will need to start over again for that second cup. Each of the blends contained various exciting and intriguing ingredients and there were bursts of colour in each loose leaf packet. Each also came with its own optimum brewing instructions which was handy especially if you’re anything like me and have a tendency to drink the tea so quickly there’s no point in taking out the bag. I have summarised a few of the teas below. This tea was medium in colour with a light and fruity fragrance. On tasting the flavours used were complimentary and well balanced with the mango sweetening the rooibos and just the right amount of lemongrass cutting through. Well suited for a slightly sweet palate. Well named, this tea was light and fresh on the palate at the first sip, with green tea and peach as the predominate flavours. I was unsure what benefit the benefit the butterflies brought to the tea in terms of flavour. Garden of Eden was more fragrant than Tales of Orient, with a perfume like linger in the throat. Personally, I found the perfume of this one too strong for me. Cleanse was one of the lightest in colour with a strong smell of cardamom and very sweet in taste. I personally would have preferred more ginger to cut through the sweetness and become more apparent in the blend. Cardamom is frequently used in ‘Cleanse’ or ‘Detox’ titled teas and if you really enjoy the flavour then I would recommend Quinteassential’s blend as it’s presence is more apparent than in some equivalents, including the Detox tea by Pukka. A take on the ‘Grey’ teas (Earl, Lady…), this one had a rich colour with bergamot being the predominate flavour. Oolong has a delicate flavour and as I have only had pure oolong previously rather than a blend, I felt the bergamot too overpowering. However, as I have a preference for lighter teas, I obtained a second opinion from someone who enjoys richer brews and they found the bergamot to give just the right amount of bitterness to the blend. The strong fragrance of the tea left me dubious as to how perfume like the taste would be, however it was a nice surprise to encounter a subtle and delicate flavour. The longer you leave the teabag, the more apparent the fragrant taste becomes. I usually leave herbal tea bags in, because I drink it far too quickly for it to ‘over-brew’, but this one I would recommend removing after the 2 minute infusion time or leaving for a maximum of 1 or 2 more minutes for more depth. I am really looking forward to trying this tea in a cocktail, as the flavours will be really complimentary and enhance a gin or vodka based summer cocktail. This one was the lightest in colour with a non-imposing clean taste to match and very true to White tea. The hint of jasmine was a winner for me as I love teas with jasmine in. If you prefer your teas very pure and light then I would recommend giving this one a try, but if you prefer an explosion of flavours or a rich brew, then you would be better placed trying one of their other teas. Within the loose leaf there were chunks of toffee and the instructions just stated how many tsps. Per mug, which left me wondering how greatly each toffee chunk affected the taste of the tea, especially considering there were only a few in the whole sample bag. I ensured there were 1 or 2 chunks in the cup that I made, however I didn’t get any hints of toffee. At the least it was a really rich cup of peppermint tea, which was lovely on its own, but I would have really liked to experience the undertones of the toffee as I feel they’re a great pairing. However, as I did receive a sample, as substantial as it was, maybe you need to ensure more toffee chunks per cup and this may be accounted for in a full purchase. There we have it Tea lovers, if you find yourself in search for a new and delicate boutique tea with interesting flavours, Quinteassential is the one to try. There are some loose leaf teas out there that promise more than 1 cup per brew, but as I said this isn’t one of them. As you can see from the images, I served the tea in small glass mugs and what mug/cup you choose to enjoy Quinteassential tea in, much like what plate you serve food on, I believe plays a large role in the overall experience, stimulating 3 senses (Sight, Smell, Taste).